3 And God said, “Let there be light,” and there was light. 4 God saw that the light was good, and he separated the light from the darkness. 5 God called the light “day,” and the darkness he called “night.” And there was evening, and there was morning—the first day. 6 And God said, “Let there be a vault between the waters to separate water from water.” 7 So God made the vault and separated the water under the vault from the water above it. And it was so. 8 God called the vault “sky.” And there was evening, and there was morning—the second day. 28 God blessed them and said to them, “Be fruitful and increase in number; fill the earth and subdue it. Rule over the fish in the sea and the birds in the sky and over every living creature that moves on the ground.” 29 Then God said, “I give you every seed-bearing plant on the face of the whole earth and every tree that has fruit with seed in it. They will be yours for food. 30 And to all the beasts of the earth and all the birds in the sky and all the creatures that move along the ground—everything that has the breath of life in it—I give every green plant for food.” And it was so. 31 God saw all that he had made, and it was very good. And there was evening, and there was morning—the sixth day. " "In the beginning God created the heavens and the earth. Genesis 1:1. Such profound words revealing the plan of God: life- beginning. 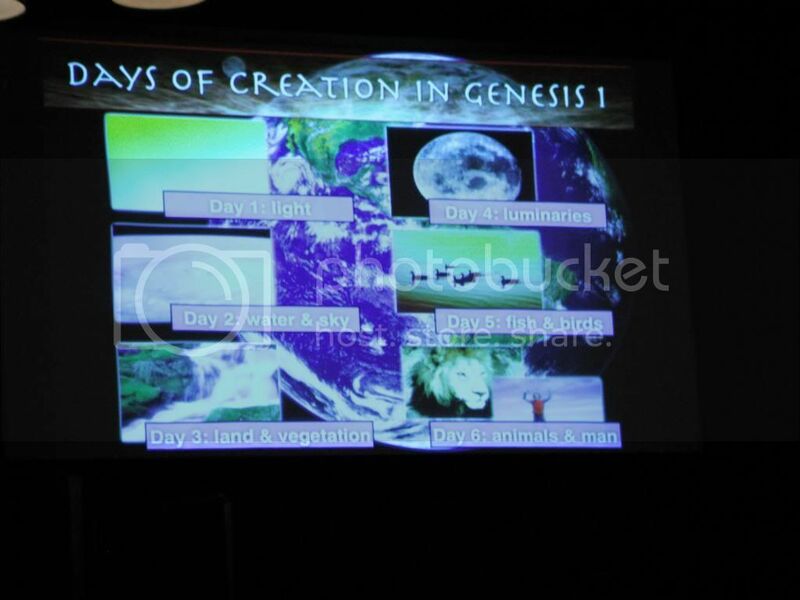 Through a unique and powerful way this video unfolds the creation story as told in Genesis 1." "1 Thus the heavens and the earth were completed in all their vast array.
" 4 This is the account of the heavens and the earth when they were created, when the LORD God made the earth and the heavens. 25 Adam and his wife were both naked, and they felt no shame. " ..As you add up all of the dates, and accepting that Jesus Christ, the Son of God, came to Earth almost 2000 years ago, we come to the conclusion that the creation of the Earth and animals (including the dinosaurs) occurred only thousands of years ago (perhaps only 6000! ), not millions of years. Thus, if the Bible is right (and it is! ), dinosaurs must have lived within the past thousands of years. .. If the different kinds of dinosaurs survived the Flood, then they must have come off the Ark and lived in the post-Flood world. In the Bible, in Job 40:15–24, God describes to Job (who lived after the Flood) a great beast with which Job was familiar. This great animal, called "behemoth," is described as “the chief of the ways of God,” perhaps the biggest land animal God had created. Impressively, he moved his tail like a cedar tree! Although some Bible commentaries say this may have been an elephant or hippopotamus, the description actually fits that of a dinosaur like Brachiosaurus. Elephants and hippos certainly do not have tails like cedar trees! 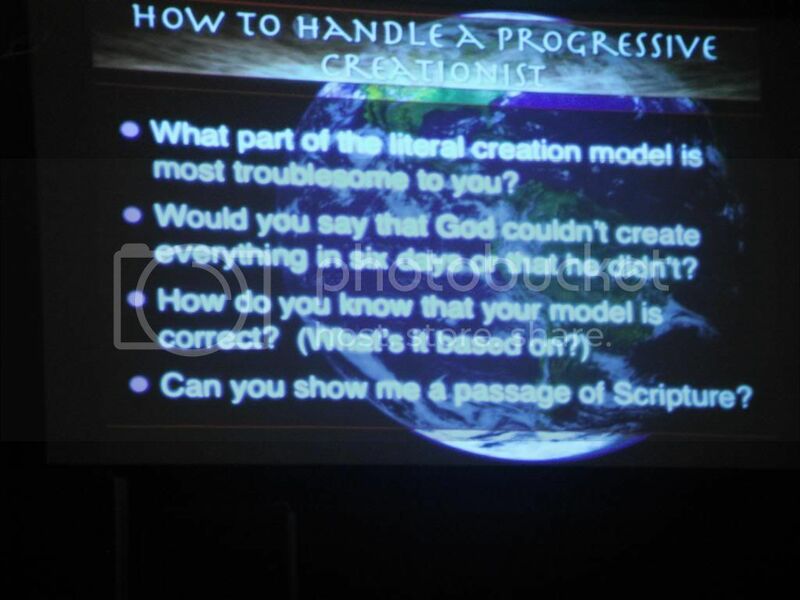 "Author Darek Isaacs espouses the latest theories in Creation Science "
"by Steve Wolfe This is part of a larger presentation on Dinosaurs and the Bible. Steve lays out a convincing case that dinosaurs and humans co-existed." "..One collection of ruins, known as Angkor Thom, has purposely not been restored. The original edifices were either constructed during the reign of King Jayavarman VII or commissioned by him (AD 1181 – ca. 1210). The most significant of the buildings of Angkor Thom is the great temple-monastery of Ta Prohm. Today, the ruins lie majestically entwined with large jungle vines and the roots of towering tropical strangler fig trees, a decision the Angkor Conservancy took to give tourists a more adventurous, exciting experience. "This carving of what appears to be a Stegosaurus is located a courtyard or two in from the front entrance of Ta Prohm Temple (finished in 1191 A.D.). This is in the Angkor Wat area near Siem Reap. Since the fossils of dinosaurs were not found until the 1800s, this 800 year old carving seems to imply that the Stegosaurus still lived around that time. If true, this would totally contradict the theory of evolution which states that the dinosaurs went extinct 60 million years ago. Creationists believe man and dinosaur were both created in the first week of creation and co existed for some time, perhaps up to more recently than imagined . So it would easily be possible that people could have seen a live Stegosaurus and made this image as a result. Since the evolutionists could never accept this, they have put forth alternative theories about this carving - That it is a hedgehog or water buffalo in front of a bush, or is a chameleon, or that the ridges were added later on, or that the whole carving is recent, or that the King in 1191 A.D. had dinosaur fossils. These theories are possible but have good arguments against them. However it is true that the head of this creature is larger and with horns unlike the known Stegosaurus. Did a Stegosaurus or a dinosaur Stegosaurus like creature exist 800 years ago? We don't know, but it is an interesting possibility. Most tourists going through Ta Prohm did not notice the carving, and even when they did they did not seem to realize the interesting debate this thing is causing." " Amazing evidence that dinosaurs and humans coexisted." " What is this stegosaurus carving doing on a temple wall at Ta Prohm, Cambodia? .."
"...Nessie: living in a Queensland lake? European sightings of water monsters also often match this description.11 Most evolutionists, however, find this unacceptable, since they insist such creatures vanished with the dinosaurs over 65 million years ago. "... But do not forget this one thing, dear friends: With the Lord a day is like a thousand years, and a thousand years are like a day. 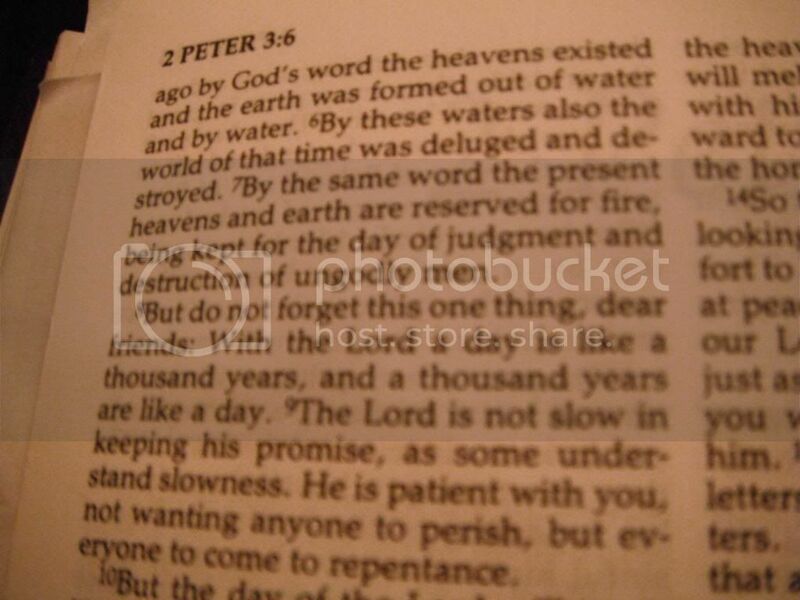 9 The Lord is not slow in keeping his promise, as some understand slowness. Instead he is patient with you, not wanting anyone to perish, but everyone to come to repentance......"
s "8 "Remember the Sabbath day by keeping it holy. 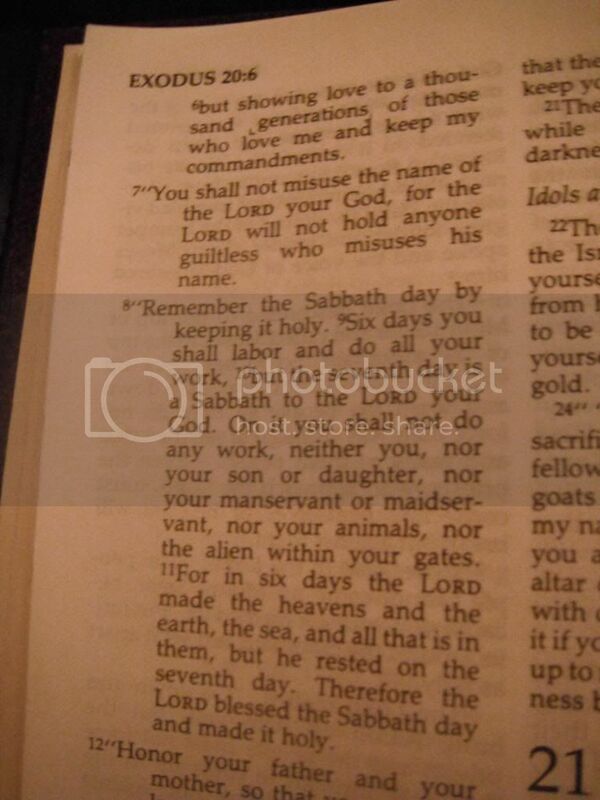 9 Six days you shall labor and do all your work, 10 but the seventh day is a sabbath to the Lord your God. On it you shall not do any work, neither you, nor your son or daughter, nor your male or female servant, nor your animals, nor any foreigner residing in your towns. 11 For in six days the Lord made the heavens and the earth, the sea, and all that is in them, but he rested on the seventh day. Therefore the Lord blessed the Sabbath day and made it holy." "Genesis The Story of Creation to the Call of Abram of Ur"-Intro from gooodnews everybodycom on Vimeo. "Enjoy a literal 'world first' as we present a unique and exciting collection of children's Bible stories from the world's most celebrated book, 'The Bible'! Your kids will delight in the timeless tales of courage, faith & endurance with characters like Adam & Eve, Noah, Moses, Abraham, Jesus of Nazareth, and the Apostles." The creation story - "God created the world"
"A video made based on the creation story in Genesis Production by Grimumul"
"A PowerPoint animation about the six days of the creation of the universe, according to the Book of Genesis in the Holy Bible. "In the beginning God created the heaven and the earth." -Genesis 1:1"
"Three great creation myths from 3 great tribes in north america long ago. English myth project." Go buy the "Planet Earth" series DVD collection! Utilizing footage from the BBC Planet Earth Series, we take a look at the wonder and majesty of God's creation. Set to the song, "Creation Calls" by Brian Doerksen, this stunning glimpse of God's masterpiece is meant to glorify Him and draw the mind to new places of intimacy with Him. The video was used in conjunction with the series of messages, "Blueprint" from Chris Seidman. In the series he discusses the subject of God's plan for His creation. The message "Creation Calls" can be viewed here: http://www2.truthcasting.com/TruthCas..."
"The creation story of Genesis expressed through modern dance and percussion instruments. From The Word: A Gospel Opera by Bill Monaghan. Visit www.monaghanmusic.com and www.thewordagospelopera.com for info on the live stage show and the full-length musical on DVD"
"From Answers in Genesis, Dr. Jason Lisle gives the Ultimate Proof of Creation. It is an irrefutable argument for the Christian worldview. This video came from an Answers in Genesis video and Dr. Lisle is affiliated accordingly. I encourage you to visit the Answers in Genesis site for additional resources/information, etc. Also, please consider visiting Creation Ministries International for additional information. You can check them out here; http://creation.com/qa#faqs"
"From Sumerian Texts. Google is your friend. Wikipedia...not so much." "Children's Bible Stories - The Creation In the beginning God created Heaven and Earth. Produced/Edited - Stef B. Narration - John Hughes. Cameramen - Stephen Heaton, Dyfed John, Stef B. Script - Steve Jones. Music by - Stef B, Paul Farrer. Illustrations - Lucy Nolan. Available on DVD: CHILDREN'S BIBLE STORIES from www.valleystream.co.uk Copyright ValleyStream Media 1997"
"By Mackenzie Meitner through Professor Rev. Dr. James Kenneth Powell II, opensourcebuddhism.org In this project we are first introduced to the Hindu notion of the Golden Egg, a cosmic egg from which all sprang. The next segment introduces Jain cosmology as a series of four ages, slowly degenerating from giants to modern human sizes. At one point during the documentary, an image of Shiva is referenced as Rishabha Deva, the first tirthankara or ford-maker. Also, the Jain ultimate state is not nirvana but kevalajnana or wisdom-only as one becomes a being of pure wisdom. 18000years remain for this age and the disappearance of Jainism and its re-emergence anew. Buddhism has no particular opinion and the importance of creation is far less relevant that stopping mental turbulence. Nevertheless, a parody of creation exists in Buddhism as beings became greedy for edibles, particularly ancient fungi. Social hierarchies emerge as ignorance descends on the wise beings through their desire. For Hindus, the universes cycle again and again like the other too. From the cosmic egg, Brahma creates as part of Vishnus dream. Meitner has a nice way with crisp and clear visuals, the panning and transitions are excellent. No video elements in this would mean a loss of a point, but I am counting the brilliance of the other components as an A for this interesting work. jp"
"Popol Vuh, the creation myth of the Maya, animated in 1988 from paintings on pottery. Produced by Patricia Amlin. 60 minutes, color." " The Enûma Eliš contains about a thousand lines, and is recorded in Old Babylonian on seven clay tablets, each holding between 115 and 170 lines of text. Most of Tablet V has never been recovered, but aside from this lacuna the text is almost complete. A duplicate copy of Tablet V has been found in Sultantepe, ancient Huzirina, located near the modern town of Şanlıurfa in Turkey. This epic is one of the most important sources for understanding the Babylonian worldview, centered on the supremacy of Marduk and the creation of humankind for the service of the gods. Its primary original purpose, however, is not an exposition of theology or theogony, but the elevation of Marduk, the chief god of Babylon, above other Mesopotamian gods. The Enûma Eliš exists in various copies from Babylonia and Assyria. The version from Ashurbanipal's library dates to the 7th century BC. The story itself probably dates to the 18th century BC, the time when the god Marduk seems to have achieved a prominent status." "DALLAS, TX (ANS) -- According to the Bible, God introduced different human languages at Babel about 4,000 years ago.1 This brought about a dispersal and migration of the people assembled there, in accord with His original command to fill the earth.2 In contrast, evolutionary linguists believe that all languages developed over the last 12,000 years. UCLA's Jared Diamond wrote an article in Nature titled “Linguistics: Deep relationships between languages,” in which he summarized the work of Edward Vajda.3 Vajda, whose works appear in the 2010 issue of the Anthropological Papers of the University of Alaska, found a very significant statistical link between the grammatical construction of the Yeniseian language family—represented by Ket, which is spoken by about 200 people in Siberia—and the North American Na-Dene language family, represented by Navajo and similar languages. First, "other languages" never did “diverge beyond recognition.” Instead, they were created so that they were “beyond recognition” right from the start at Babel. It was probably this inability to communicate between the various family groups that led to their dispersal. More significantly, the reason these languages “still show such a strong relationship” could be that the ancestors of its modern speakers were part of the same family group only 4,000 or fewer years ago. Where are all the differences that should have arisen over the course of 12,000 years of supposed Na-Dene and Yeniseian linguistic evolution? Changes have occurred, but apparently not 12,000 years' worth. 3 Diamond, J. 2011. Linguistics: Deep relationships between languages. Nature. 476 (7360): 291-292. 4 Hoesch, B. 2007. Megafloods in the English Channel. Acts & Facts. 36 (10): 14. "..is a group of non-profit ministries in several countries. Though each is a legally and financially autonomous body, we have formally unified our efforts as a federation of ministries under the banner ‘CMI-Worldwide’ that helps to ensure unity, harmony, and efficiency of outreach. We are apolitical and non-denominational (as an organisation, not as individuals within it). We try to confine ourselves to matters as defined broadly by our Statement of Faith, and try to not get involved as a ministry in other controversies or issues within Christendom, no matter how important we, as individuals, might regard these."